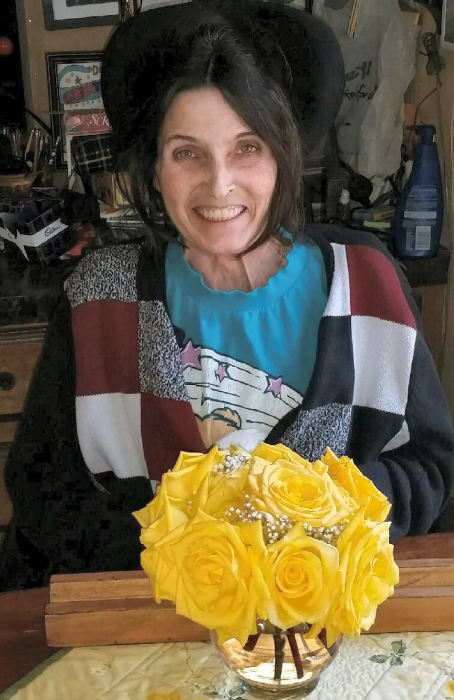 Obituary for Donna Ann Bosman | Westlock Funeral Home & Crematorium Ltd.
On March 24th, 2019 Donna Bosman of Westlock, AB passed away at the age of 54 years. She is survived by her husband Gordon Bosman; her son AJ Bosman of Stettler, AB and her daughter Melissa Bosman of Westlock, AB 2 grandchildren Carter and William of Camrose, AB; 2 brothers Tim Strehlau (Sue), Eugene Racine (Michelle); 7 sisters Elaine Zarski (Bob), Telsa Riopel (George), Ellen Sauter (Ken), Louise Cloutier (Gabe), Anita Roberge (Lou), Cathy Jestin (John) and Min Jendrick (Larry). She was predeceased by her father Jock Millar, mother Doreen Strehlau. The service was held on Friday, March 29th, 2019. In lieu of flowers donations gratefully accepted to the Royal Canadian Westlock Legion #97 Poppy Fund.